The newfound world, dubbed Ross 128 b, is the closest temperate planet known to orbit a "quiet star" - one that isn't prone to devastating and potentially life-obliterating bursts of radiation. And it appears to meet some of the basic requirements for habitability. The planet is slightly more massive than Earth, so it is probably a rocky world with a solid surface. The host star is much cooler and fainter than our sun, but Ross 128 b orbits it closely and quickly - a year lasts just 9.9 days. The planet receives about 38 percent more radiation than Earth does - enough to give it an equilibrium temperature between -76 and 68 degrees Fahrenheit, assuming it has an Earthlike atmosphere (and that's a huge assumption). 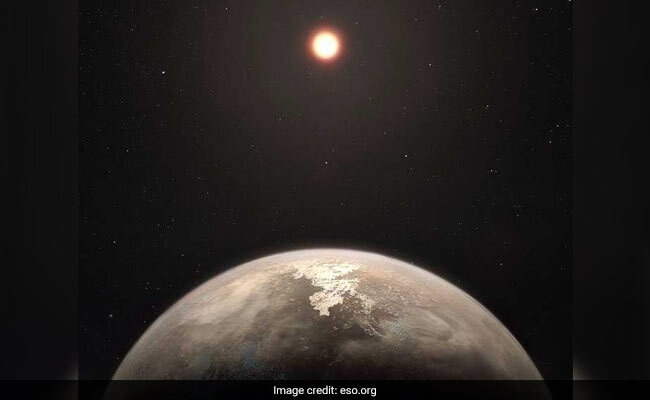 Though the study authors call Ross 128 b a "temperate planet," it's not clear whether it falls within the habitable zone - the Goldilocks region where a planet is just warm enough for liquid water to exist on its surface. Ross 128 b is not Earth's nearest extrasolar neighbor. The exoplanet Proxima b, which orbits the star next door to our sun, is even closer than Ross 128 b - just 4.2 light-years away. But its host star, a red dwarf called Proxima Centauri, has been compared to a hormonal teenager. It produces violent flares of radiation that can strip away an atmosphere and sterilize a planet. You would not be a happy camper if you lived in the vicinity. Ross 128 b was detected via the High Accuracy Radial velocity Planet Searcher (HARPS), a planet-seeking program based at La Silla Observatory in Chile. As most exoplanets are too distant and too dim to be seen directly, HARPS looks for the telltale signature of a small world orbiting a star. Remember, a planet doesn't really orbit its sun. Rather, both the planet and the sun orbit their common center of mass - the point at which the gravitational forces they exert on each other are at equilibrium. Since stars are so much heftier than planets, that center of mass is a whole lot closer to the star than to the planet, but it is not exactly in the star's middle. This produces a characteristic "wobble." All this wobbling affects the radiation these stars emit: The light changes frequency, much the way a sound changes pitch when its source is moving - a phenomenon known as the Doppler Effect. Noting that this is just the latest exoplanet discovery of thousands, Astudillo-Defru acknowledged that this one "may feel like one more among others." 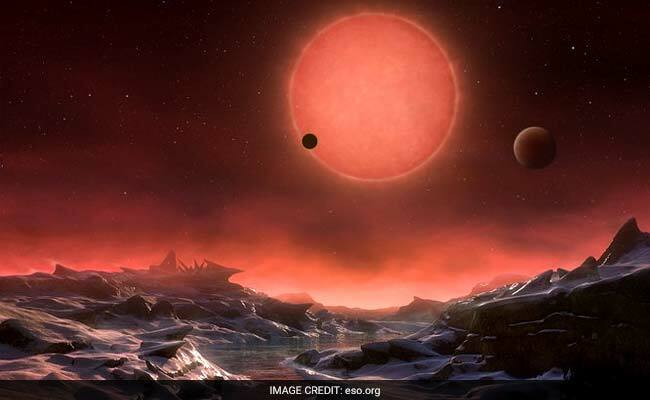 But no other exoplanet known to science is as close and as seemingly hospitable as Ross 128 b. "This one is special," Astudillo-Defru added. To date, NASA's Exoplanet Archive includes 3,550 confirmed alien worlds: tremendous "Hot Jupiters" that orbit close to their suns; hellish planets whose surfaces are as hot as a star's; bodies so compacted that their carbon is crushed into a diamond; "rogue" globes of gas that roam through the galaxy not bound to any star. There are even millions of "Earth twins" - worlds that, from a distance, look not unlike our own. But at times, that catalogue can feel like a travel guide to lands we'll never see. Scientists seldom observe exoplanets directly - instead, they intuit the bodies' existence based on tiny fluctuations in the light coming from distant stars. And given the vast distances involved in interstellar travel, no Earthling has a hope of visiting most of these places. That's true even of Ross 128 b. Eleven light-years might be a skip and a jump in cosmic terms, but it is still far greater than any expanse any human has traversed. For comparison, the moon - still the most distant destination visited by people - is a mere 1.3 light-seconds away.